These are the four medical concerns you need to know about! Down syndrome is associated with many medical concerns. I will address what to be aware of in the first few days of life here. I know that this is scary but I reassure you that doctors are able to treat your child for each of these conditions with very good outcomes. Sometimes you will watch and wait, other times your baby may need surgery. Medicine has come a long way and there is so much that can be done for your new baby if he or she requires any intervention. Up to 50% of children born with Down syndrome have problems with the structure of the heart. This means that there will be a hole between the chambers or abnormal connections. The most common conditions found are an atrial septal defect or ASD (hole between upper two chambers), a ventricular septal defect or VSD (hole between bottom two chambers), or an atrioventricular canal defect (all the chambers are connected). Some of the abnormalities may require immediate surgery, but the majority will require watching and waiting. 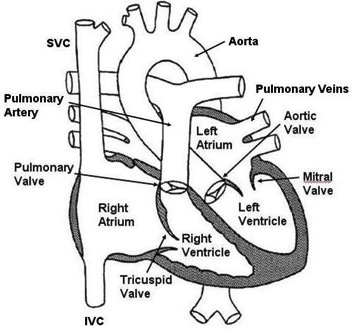 Below is what a heart looks like so you can see where the different chambers are located. Holes between chambers do not mean that blood is leaking out of the heart, but that they are sharing blood. Here's a look at your heart. Another very common medical condition in Down syndrome is a patent ductus arteriosus. This is not an abnormal connection or a hole. When we are growing inside the womb we do not use our lungs to oxygenate blood, this all comes from our mother. The ductus arteriosus is a normal connection that is used to get oxygenated blood to our body and bypass the lungs. As soon as our lungs work, which is when we take our first breath, that connection is no longer needed and it is able to close due to some pretty cool things that happen in our body. All babies have to close this connection and it can occur instantly or over several days. Patent means open and so a patent ductus arteriosus is one that remains open. This will be monitored and if it does not close there is a procedure called a catheterization that can close this connection. If your child has other structural changes and needs open heart surgery it can be taken care of during that procedure as well. • How do you feel my baby is doing? • Does my baby have a murmur? • What are my baby’s oxygen saturations? • When will my child be seen by a cardiologist? • When will my child have an echocardiogram (ultrasound of the heart, just like how they looked at your baby when you were pregnant)? There are two concerns with your child gastrointestinal tract that can present themselves at birth for children with Down syndrome. 1. Duodenal atresia: The duodenum is the first part of the intestines after the stomach. Atresia means abscence or narrowing of an opening. Therefore duedenal atresia means that the duodenum is narrowed or completely closed off. This would not allow food to go through the intestines as expected. Your child will have vomiting within the first few hours of life, which will likely contain bile (green stuff). It is more common for children with Down syndrome to have difficulty hearing. Every child gets a hearing screen prior to leaving the hospital. If your child fails, they will be tested again prior to going home. If they fail a second time you will then see an audiologist for further testing as an outpatient. Do not worry if your child fails the first two tests, as that does not mean for certain that your child cannot hear. Despite passing you will continue to get hearing tests for our child though out their childhood. • Did my child pass their hearing screen? • When should we test their hearing again? Children with Down syndrome can also have eye concerns. The first one your doctor assesses for is cataracts. This is easily done by looking at your baby’s eyes with an ophthalmoscope. The doctor will be looking for a red reflex meaning that they are able to see the back of the eye without problems. Other things that can be seen are abnormal eye movements. One that our own son had is called nystagmus. This is a rhythmic beating of the eye while looking one direction. When our son looked left or right his eyes would move back and forth rhythmically. If this is present at birth, it is not as concerning as nystagmus that develops several months to years later. Children with Down syndrome have weaker muscles even in their eyes which will cause nystagmus. Their eye muscles cannot hold the eye in a certain position for a long period of time so it will beat back and forth. Despite knowing the reason why, they should still see an eye doctor (ophthalmologist, not optometrist). All children with Down syndrome should see an ophthalmologist within the first year of life. • Did you see the red reflex? • Do you see nystagmus or weird eye movements? • When should we see the eye doctor? While there are other medical concerns that are unique to each child, these four will be the main concern of your pediatrician during the first few weeks of your precious child’s life. 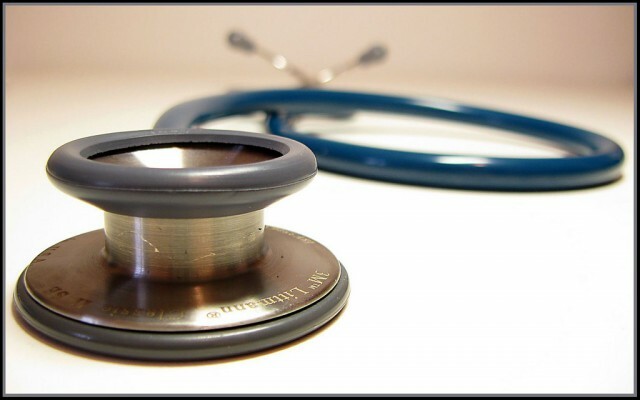 The above are diagnosed based on physical exam and tests done by individuals. There are other medical diagnoses that are found based on blood tests which we address in a later post. Thank you so much for this information. My great grandson Hunter had some of the mentioned symprons. Thank you again . I will pass this info along to others. Very helpful! Great article Abbie, I had none of this info at birth. As much as I love the care we got at our local hospital, we were given NO info at all about anything! When we were sent to the Nicu in Boston we started to get info from all of the great nurses! I don’t know if you have some info posted elsewhere, but I wanted to comment on the heart and ear conditions that are possible. First, my son had a VSD and what was going on while we kept an eye on it for a few years is that the other side of the heart had to compensate for the defect by pumping harder, which therefore caused that side to get bigger. Jim was on digitalis but was refusing to take it to the point that he would have a pretty good choking fit…and I didn’t think it was doing anything or that he was even getting the right amount. Jim had open heart surgery a couple of months before his 4th birthday which I think was harder on him than if he had it done a year or two earlier. I think it caused a setback in some of his development. I didn’t think the cardiologist he first went to was very good at explaining everything. Another point is if the condition is left alone too long, then the main artery will harden some and shrink to balance out the blood flow and it isn’t reversible…at least that is how I understood the problem. The ears are vulnerable to having more wax and fluid buildup behind the eardrum due to the canals being more narrow than “normal”. I do know that many people get ear tubes…typically kids. The pediatricians who saw Jim were very vague about this issue so I didn’t really get it until he saw an Ear, Nose and Throat specialist. There is product called Debrox that was recommended by Jim’s ENT (and, no, I am NOT getting a fee for the mention) to keep the wax from piling up. My Jim isn’t very cooperative about allowing us to use the drops but we do our best. I’d tell other parents to get an otoscope and learn what is normal and to be the first line of awareness. I was told NOT to allow any doctor to flush wax out of the ear canal with water since the pressure could rupture the ear drum and that the water could be trapped causing an infection…this is after my pediatrician tried to loosen the big blob in Jim’s ear. He failed and then we had to go to the ENT and then go get a script for drops. Jim had tubes put in early in August 2007, they fell out at some point and he had them put in again in April 2009 and so far only one has come out. The ENT did say that he should outgrow the need for them. I’d say that if there is any problem with a standard hearing test, to go directly to an ENT because he/she will give you a better idea of what is going on. Hearing was my recent concern. Turned out everything was fine and my son was just being typical kid with selective hearing. Ha ha. So I asked his dr. and she told me that’s normal. I really didn’t like what she said and how she said it and wanted my son to see specialist, but she didn’t give us referral. If his eyes keep doing that, I will push her to get us referral. during an EGD that was looking for allergies our amazing GI doc found out he had an incomplete duodenal atresia. Instead of the complete atresia at birth he had a pinsize opening that could only pass liquids so when we went off of the breastmilk he wasn’t getting the nutrition we needed. He had surgery in May and has steadily put on weight and is now meeting developmental milestones. I just wish it was discovered earlier – – it was a long year. Even though it is rare for it to be an incomplete blockage I hope others can catch it sooner ! my child is 3 months now and he has AVSD and PDA where he will have an open heart surgery in couple of few days. I would like to thank you for the great job you guys are doing. Hi,nice and very use full post.my son is just two and a half months.He has down syndrome.He has heart problem(Tetrology Of Fallot) and he need a open heart surgary in between his 6 months age to 1 year. We has already done a ROP test of his eyes and report came normal.Next week we have an appoinment for a BERA test or hearing test.Are we in a right track with our baby? Plz guide me..
With these medical concerns in mind, do you think it is OK for us to deliver at a birth center with a midwife? This is baby #5 for us and there is an inconclusive possibility that he will have down syndrome. Thank you! Your postings have helped me learn more about Down Syndrome. We live in a developing country with very limited hospital support so reading your blogs really helps. Thanks so much! Do you have a child with Down syndrome? Also what country are you in? I have a question about your son’s nystagmus. Did his go away? At what age did you notice an improvement. Our Max is 8 months old and has had nystagmus since birth. 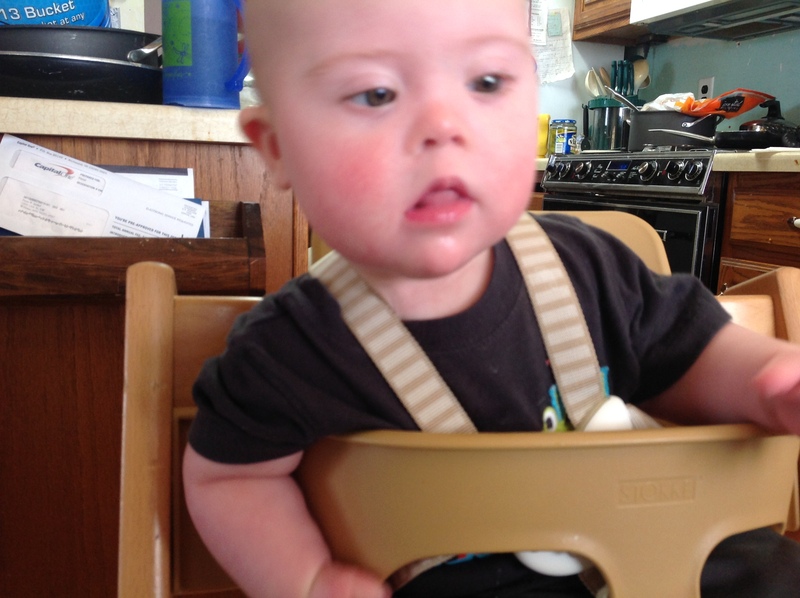 We took him to see an ophthalmologist and she made it sound like he would always have it but when I do a search for Down Syndrome and nystagmus I come across numerous stories of babies developing out of it. We’ve noticed improvement, we think. Or we’re just getting used to it. Lol. Thanks you. Your blog is wonderful by the way. Thank you for it.